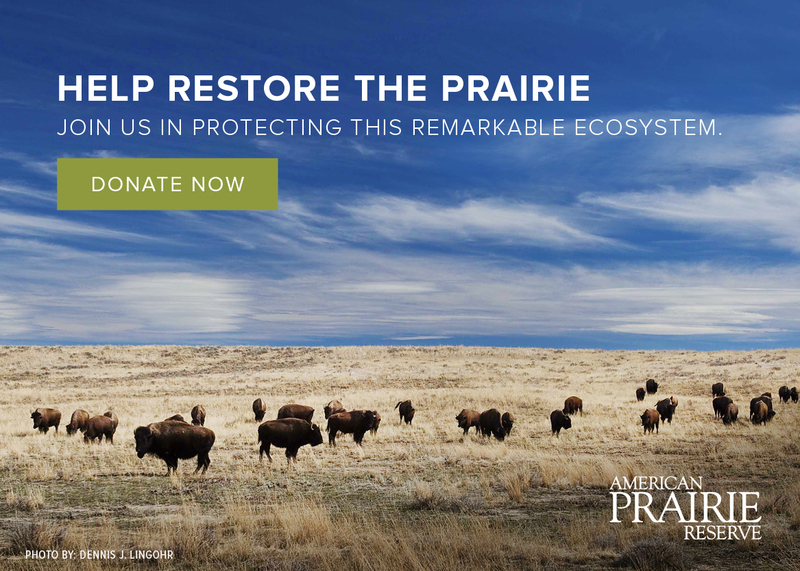 American Prairie Reserve strives to contribute to the vitality and diversity of the region’s economy. We encourage you to visit communities like Lewistown, Zortman, Malta, Fort Belknap Agency, and Glasgow for the goods and services you need for a safe and enjoyable adventure. The Reserve does not offer gas or fuel for sale. Depending on how you access Reserve lands, the closest gas stations are in Malta, Glasgow, Zortman, and Roy. Plan to arrive on the Reserve with a full tank and with enough fuel to depart. Non-potable water is available year-round at Buffalo Camp, our public campground located in the Sun Prairie unit. There are no grocery facilities located on the Reserve so be sure to visit local communities for supplies before arriving on the Reserve. In case of fire restrictions or challenging weather conditions that limit road travel, we encourage you to create flexible menus with extra food for emergencies. Please follow Leave No Trace principles for food preparation storage, and disposal. Black bears are known to travel through camping areas in the Little Rockies but have not yet been sighted on Reserve lands. Raccoons are present in the region.